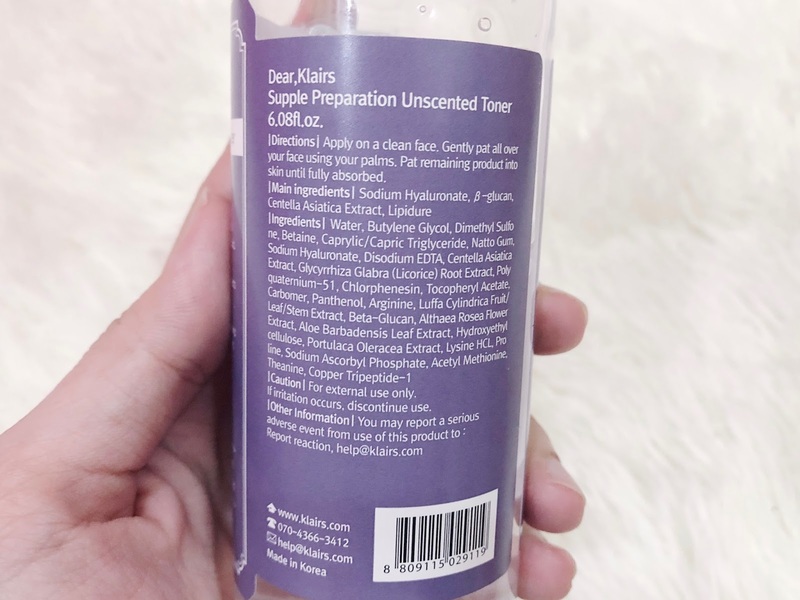 This unscented toner is Klairs new version of their best selling Supple Preparation Facial Toner. TLDR version: It's a great hydrating and soothing toner but not enough, for me. I prefer a sticky toner since I have dry skin. But it's good if your have oily-combination skin since it absorbs beautifully. Then, when Klairs released the new unscented toner, I was excited. Amboi, yang version lama tak minat sangat. Tiba tiba datang yang baru, terus nak beli kan.... So I bought mine from Wishtrend. Normal price is $21.99 tapii ada discount plus free shipping to Malaysia so dapat around RM60+. 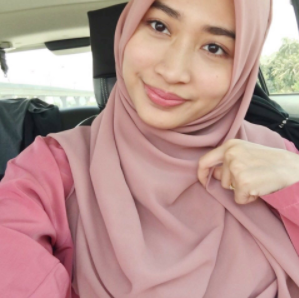 Wishtrend normally ambil masa 10 hari untuk sampai. You can also get this from www.nattacosme.com for RM80 kalau taknak international shipping. I beli dekat Wishtrend sebab time tu dekat Malaysia tak ada lagi. I'm not sure Hermo ada ke tak sebab dah try cari, ada yang version lama je. So, whats the difference between the Supple Preparation Facial Toner and the new Unscented version? Semua ni essential oils yang buat product bau lagi best, herba herba gitu macam the original toner. 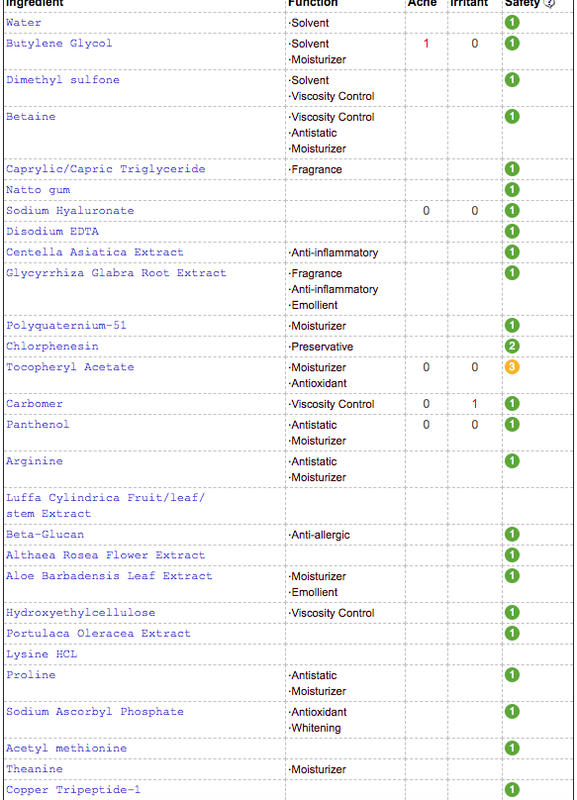 However, certain people can't tolerate essential oils, and boleh buat kulit lagi sensitive. If you have sensitive skin, try to avoid products yang ada essential oils. That's why Klairs have this new unscented toner. Since dia dah buang segala essential oils (ingredients yang lain semua sama), bau dia sangatlah macam hospital, bau antibiotic or macam clorox. Quite strong tapi hidung I boleh tahan so for me, okay je. 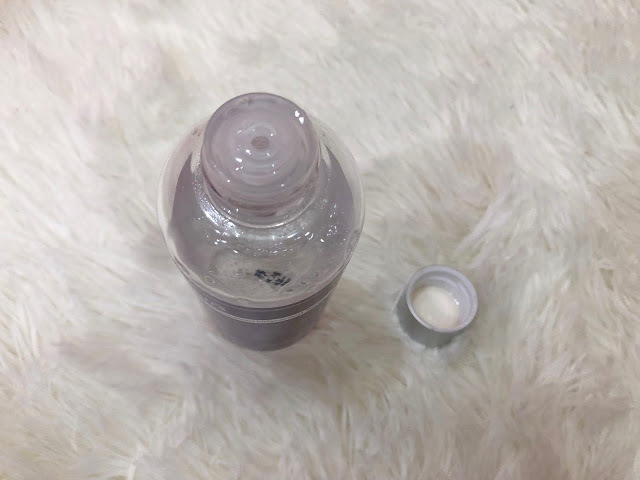 Basically the ingredients ada hydrating properties (Sodium Hyaluronate), soothing properties (Centella, Panthenol, Beta Glucan, Aloe Vera), brightening properties (Licorice Root Extract, Sodium Ascorbyl Phosphate), anti-oxidant properties (Tocopheryl Acetate, Arginine etc). A very good product with a lot of great ingredients. Yang penting, dia tak ada alcohol, tak ada fragrance, tak ada sensitizing ingredients. It comes in a 180ml plastic clear transparent bottle with a screwable cap. The label is purple which is quite eye-catching. Macam biasa, I tak minat penutup yang kena pulas pulas ni because again, tendency nak hilang tu tinggi :( But I like the packaging since it's transparent so nampak lah tinggal banyak mana lagi. The new texture is quite thicker although I ada baca review yang kata the new one is slightly thinner and absorbs better. So now I'm also confused since I don't really like the old version punya texture. Yang baru ni I suka. Like I've mentioned above, it has a medicated/hospital/clorox kind of scent. But not too over-powering. I normally do 3 skin method, which means I apply this 3 times. Takdelah sampai 5 or 7 kali sebab I malas. For me, 3 is enough. It doesnt makes for skin feels sticky or greasy. It absorbs beautifully and makes my skin feels hydrated. And, I rarely missed using this toner. Sebab kalau boring, biasanya I skip. Ni macam, takdelah boring sangat for me cause I like the scent, and rasa my skin is very well hydrated, lepastu no dry patches, takde rasa kering teruk sangat (or maybe because I use other hydrators as well). Bottom line is, a good basic toner to soothe and hydrate your skin. People with sensitive skin, that needs a good soothing and hydrating toner. 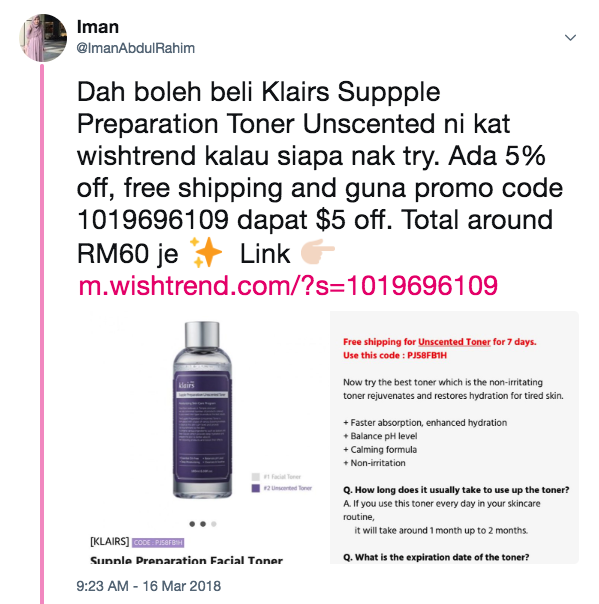 People that don't like a basic toner, and wants something extra (eg for acne, acne scars etc) or people that do not have dry dehydrated skin, and malas pakai toner, and tak perlu guna toner pun.